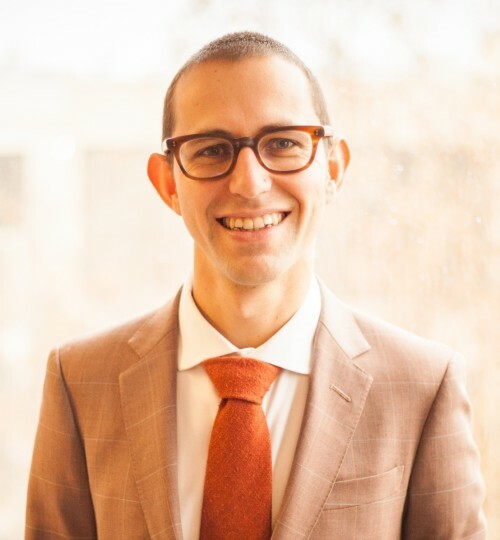 Sean Betouliere joined Disability Rights Advocates in 2015 as its second Wolinsky Fellowship Attorney and became a staff attorney in 2017. Mr. Betouliere received his law degree from Berkeley Law in 2015 and his Bachelor of Arts in English (with highest honors) from U.C. Berkeley in 2005. During law school, he served as an extern to Magistrate Judge Donna M. Ryu in the Northern District of California, and interned with Disability Rights California and the Disability Rights Program of the Legal Aid Society Employment Law Center. Mr. Betouliere also worked as a clinic student with the East Bay Community Law Center’s Immigration and Community Economic Development clinics, and volunteered in the Legal Aid Society’s Workers’ Rights Disability Law clinic. As a former special education teacher and someone born with cerebral palsy, Mr. Betouliere has a personal understanding of the barriers that people with disabilities still face, and he’s excited to work with DRA to continue bringing those barriers down.